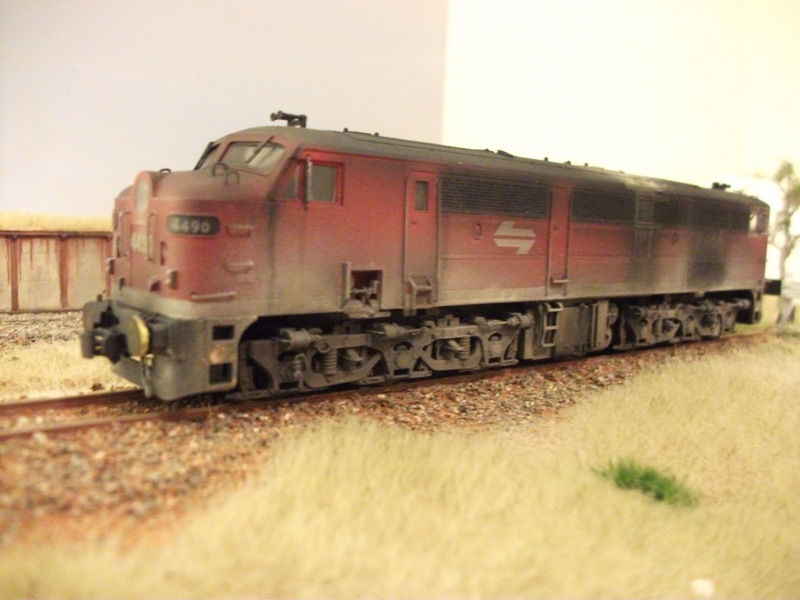 The Musings of a NSW modeler...: A Productive Day!!! 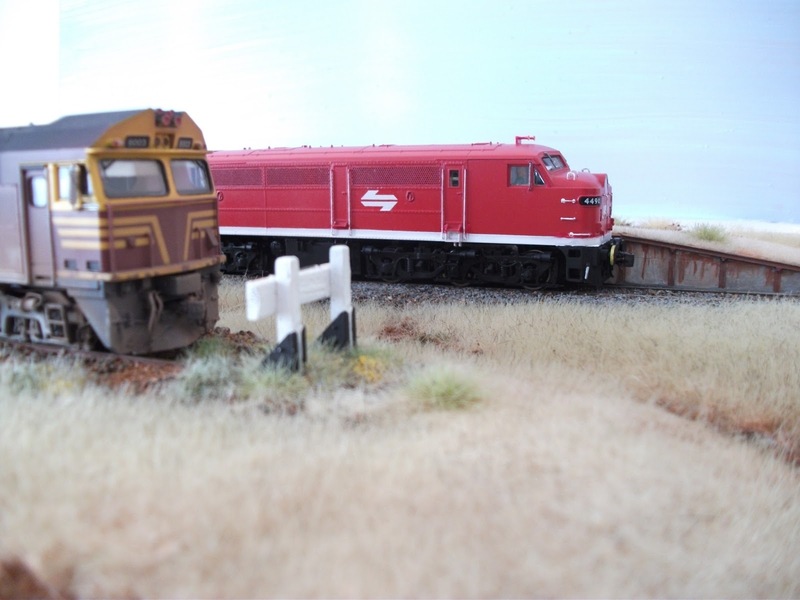 A further post today! 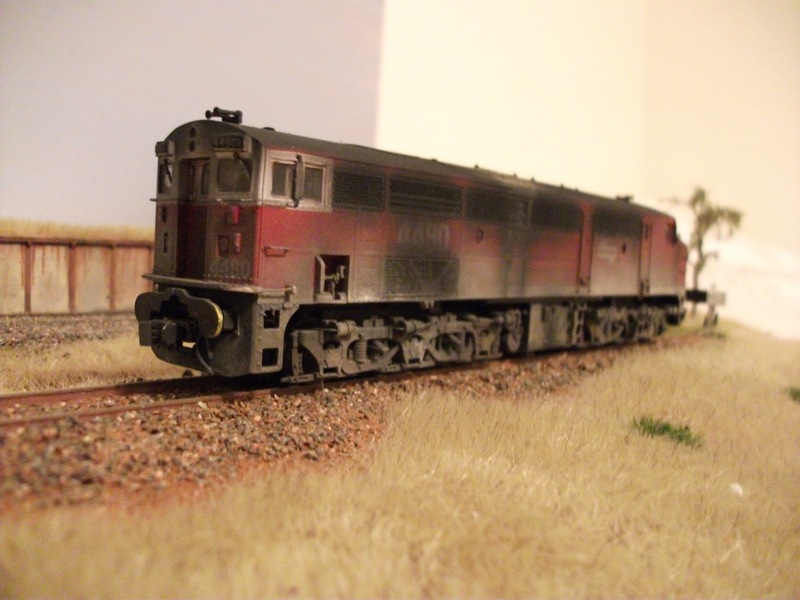 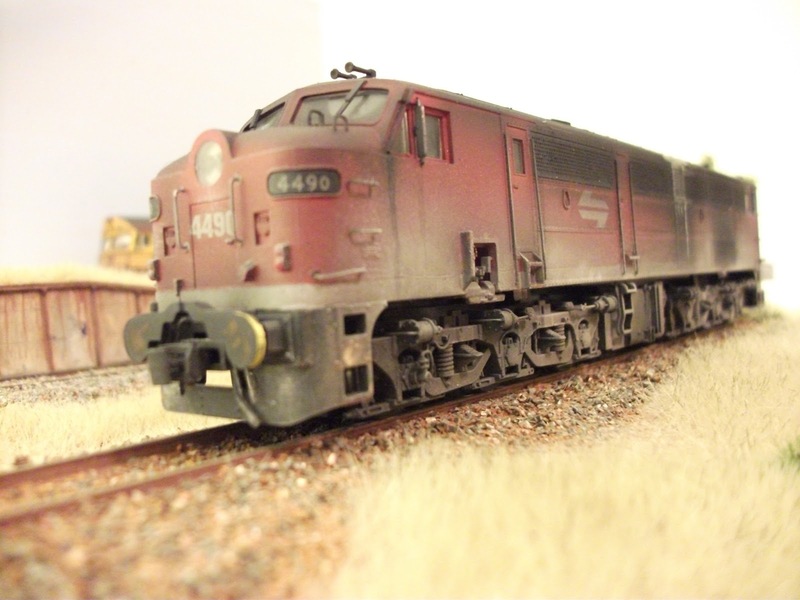 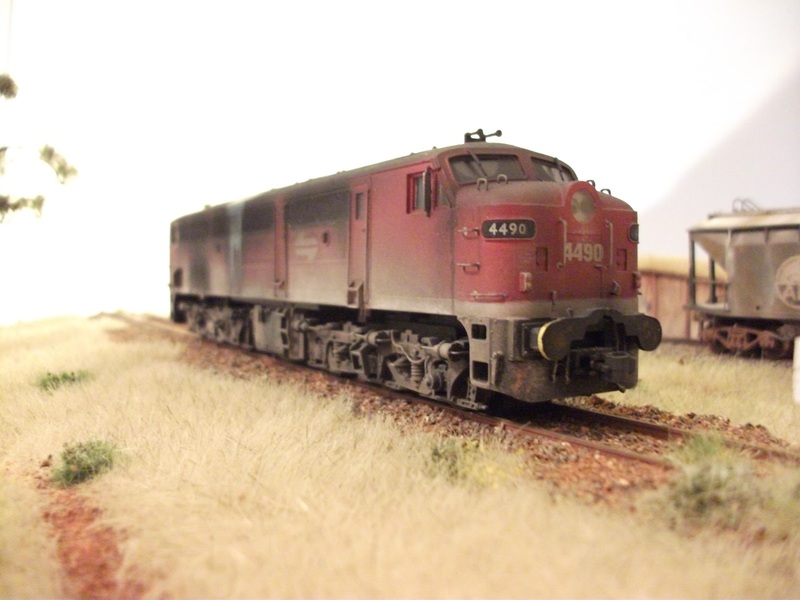 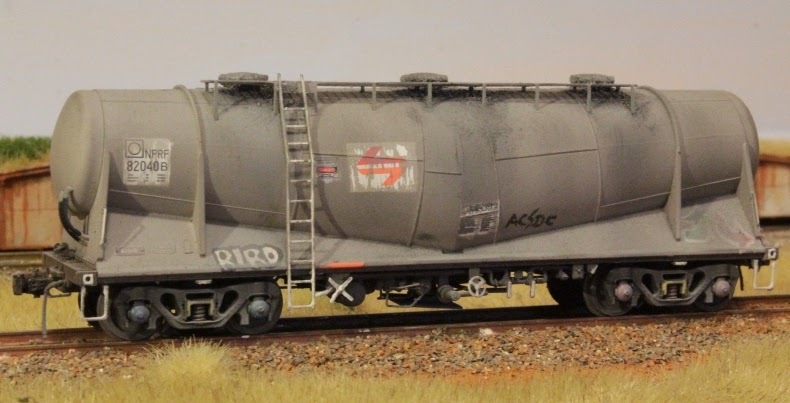 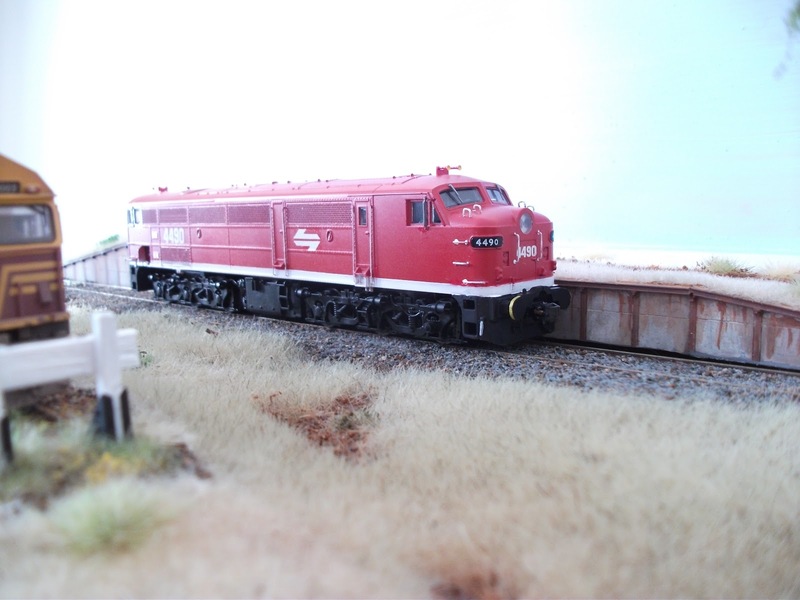 Just some shots of 4490 after some weathering (very heavy) to simulate its appearance in the early 90's when stationed out at Werris Creek. 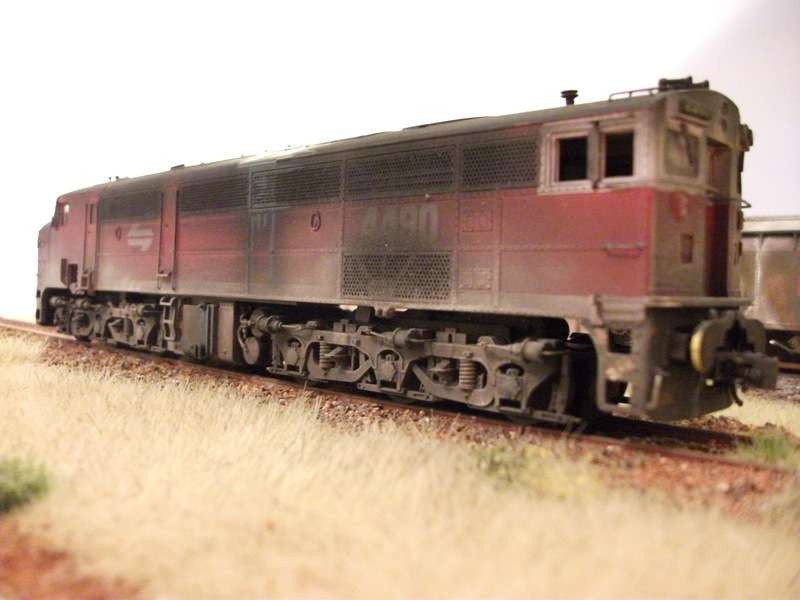 First are a couple of shots of 4490 just after being stripped and repainted from its former 44100 Tuscan identity.